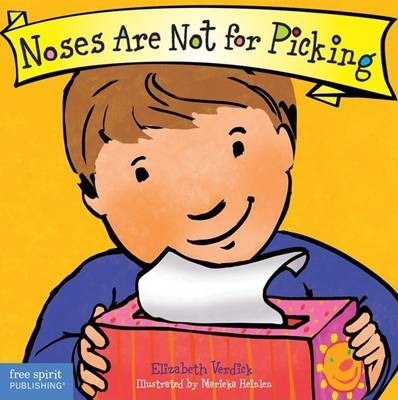 With gentle humor and kid-friendly support, this board book for toddlers and preschoolers helps guide little ones away from nose picking toward healthier habits, like using a tissue and washing their hands. Catchy words help children remember what to do; vibrant full-color illustrations bring the words to life. Throughout, the positive message shines through: noses are for breathing, sniffing, smelling . . . but not for picking! Publisher Free Spirit Publishing Inc.,U.S.